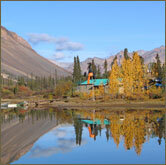 Association of Mackenzie Mountains Outfitters – Mackenzie Mountain Hunting Trips - Gana River Outfitters Ltd.
Gana River Outfitters is a family owned and operated business that offers both horseback and backpack hunts for Dall Sheep, Mountain Caribou, Moose, Wolf and Wolverine. Our area is very remote and is accessible only by air so there is very little hunting pressure and success rates are high. 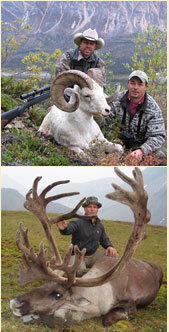 We do our best to ensure that every hunt is both enjoyable and successful.